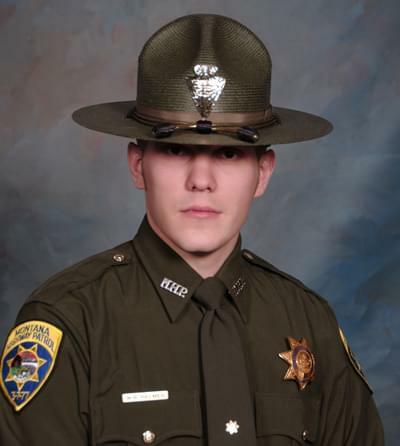 HELENA – Trooper Wade Palmer has regained consciousness after he was shot three times on March 15th, 2019, near Evaro, Montana. His medical status has improved from critical to stable condition and he has been moved from the University of Utah Hospital’s Neurological Critical Care Unit to the Neuro Acute Care Unit. All of his interactions have been non-verbal, but he has shown recognition of certain people and commands. He is scheduled for reconstructive surgery for jaw injuries on Thursday.